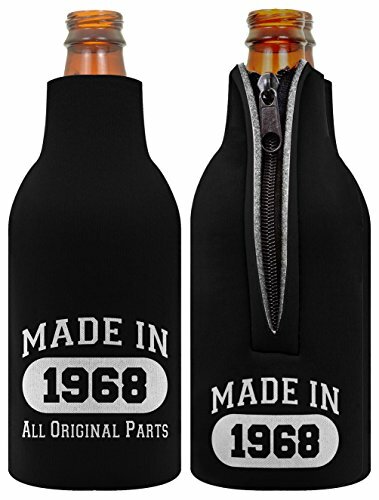 This funny bottle coolie is perfect for keeping your longneck drink cool while the party heats up. Avoid a warm drink with these funny bottle coolies. Perfect birthday gift or party favor. Fits most types of 12oz longneck bottles. Zips open for easy use. Machine washable.